The kitchen has turned into the most important room of the house. Realtors from all over agree that the kitchen is supremely important when selling a home. So important is the kitchen when selling a home that people often remodel their kitchen before selling the home. 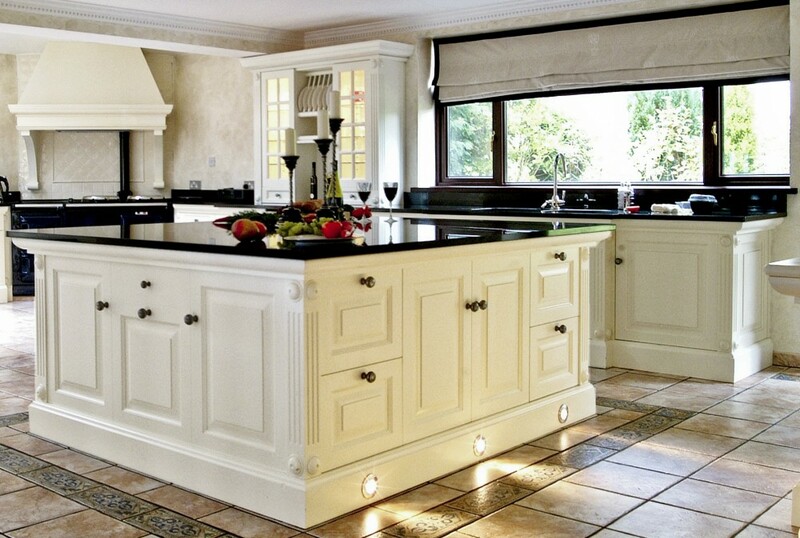 It is often said that investing in the kitchen is one of the best ways of adding value to the home. In the old days, kitchens were small, cramped and were strictly used for cooking. Today, kitchens are much larger and have become the central area of the home where people dine, congregate and entertain. In the old days people did these activities only in the dining room and den. Today’s kitchens are now the center of activity in the home and are equipped with the counters needed to prep food, serve food and dine on the food. From fancy kitchen islands to wet bars, countertops are an important element of the kitchen. Over the years, Granite Countertop Warehouse and Crowe Custom Counters have based their reputation on fabricating and installing top class granite and quartz countertops in kitchens throughout the South. We understand that our customers demand that the most important room in the house have the best countertops. That is why we invested in having great designers on site that have the experience, skills and creativity needed to fulfil customers’ demands. When helping homeowners, our designers take into account many factors including lifestyles, daily activities as well a utilitarian functionality. Our designers understand that there must be a flow and purpose to the design of the kitchen in order for it to “work”. In addition to functionality, our designers take the time to listen to vision of our customers. They must also take into account the décor including colors, patterns, textures, lighting and furniture styles. Usually, customers visit our showroom to discuss their ideas and go over color options. Since our showroom is next to our slabyard, customers get the change to actually look at slabs and color options. They not only get a chance to go over design, they also get to look and feel the actual slabs. Customers get to see the actual grains and patterns that make stone counters such a unique product. Every slab has its own personality and characteristics. One of the factors that make the visit to our showroom is that our designers can give you a price on the spot. When visiting the showroom, many customers bring pictures, plans and cabinet doors to give the designers an idea of where to begin. The showroom consisted of large granite tables and kitchen vignettes where customers can actually view and feel edge profiles, sinks, cabinets as well as other fixtures. Although appointments are not mandatory, you can still make a no obligation appointment with one of our stone experts. Our showroom is open 7 days a week for your convenience.